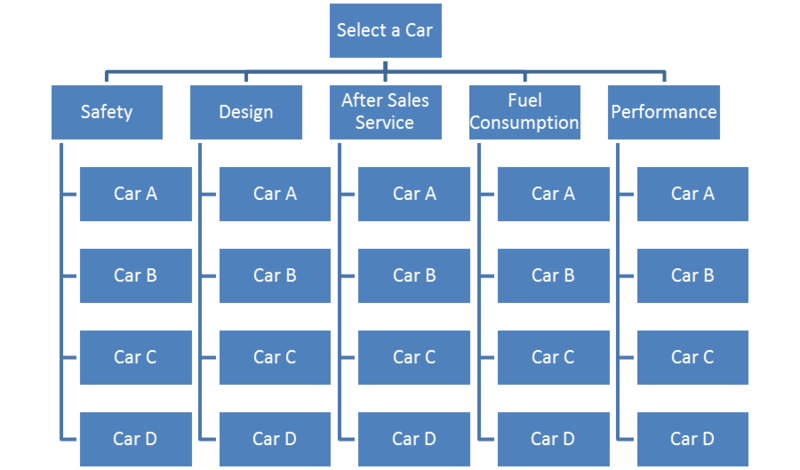 In this blog, I would like to analyze the same case study as in my previous blog, choosing a car, using Analytic Hierarchy Process, and comparing the result. Based on previous research, I found top four candidates that will be select using Analytic Hierarchy Process. In complex decision, costs (price) should be set aside until the benefits of the alternatives are evaluated. 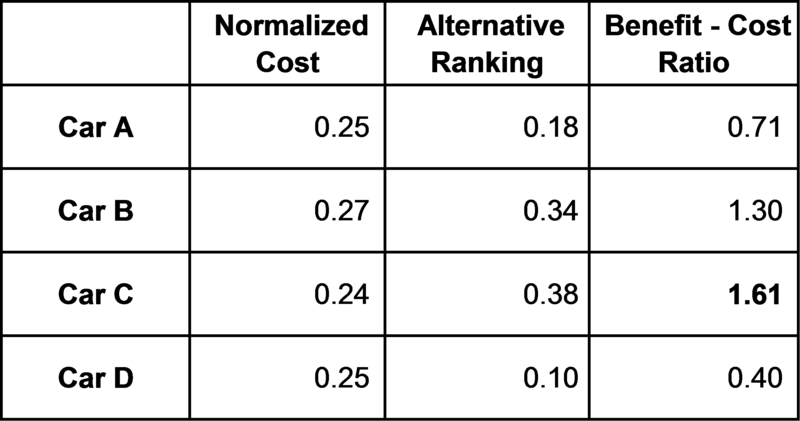 Normalized matrix of paired comparisons and calculation of priority weights (eigenvalue). The consistency ratio (C.R.) for the comparison above is calculated to determine the acceptance of the priority weighting. Based on Saaty’s empirical suggestion that a C.R. = 0.10 is acceptable. To do that, we need Principal Eigen value that obtained from the summation of products between each element of Eigen value and the sum of columns of the reciprocal matrix. Alternative that having highest weights will be selected. Car C is the highest ranked Car. 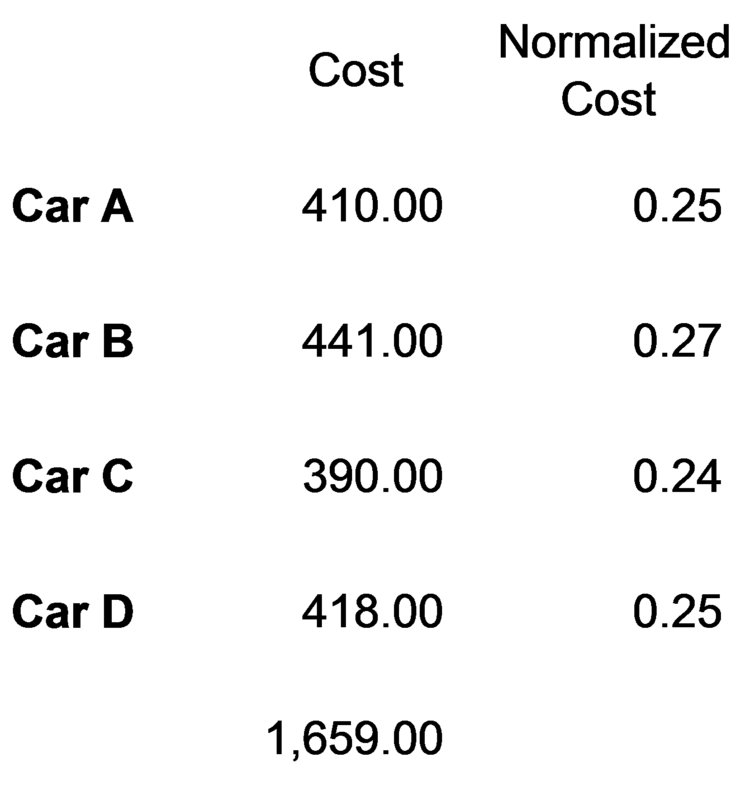 Based on benefit – cost analysis, Car C has highest ratio. The result is same with the result of the non-compensatory models. In order to have more accurate result, pairwise comparison matrix can be done by surveying the experts or anyone who has good understanding of the problems. 1. Saaty, T. L. (2008). Decision making with the analytic hierarchy process. Int. J. Services Sciences. 2. Triantaphyllou, E., Mann, S. H. (1995). 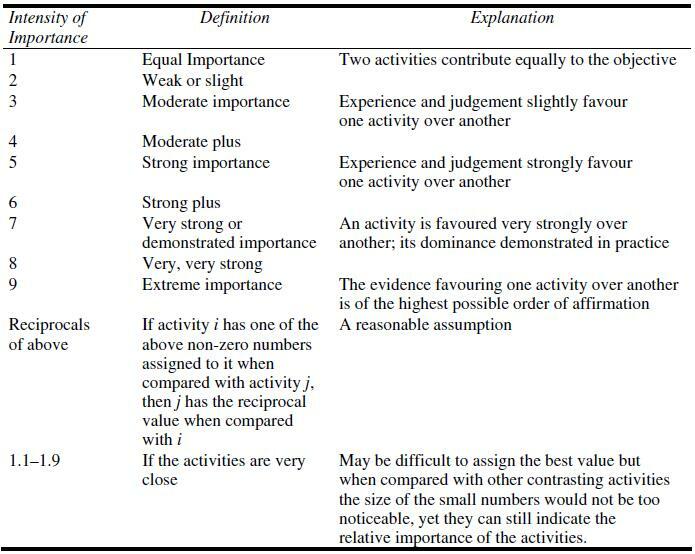 Using The Analytic Hierarchy Process for Decision Making in Engineering Applications: Some Challenges, International Journal of Industrial Engineering: Applications and Practice. 5. Auto Bild Magazine (2014). 289 edition, 44 – 49. Great job, Pak Wahyu…… Still not clear why you didn’t use the compensatory approaches shown on pages 560 to 568 in Engineering Economy, but using AHP is a perfectly acceptable method as well, even though you cannot claim credit for one of your problems from Chapter 14. Keep up the good work and if you wish, you can use this same case study but for your W6 blog, try the two COMPENSATORY approaches and at the end, see which of the three methods you think is “best” or “better” Non-compensatory, AHP or Compensatory methods. Explain which one you prefer or recommend and WHY. I have analyzed using compensatory approaches on my W4 blog. In my opinion, AHP could give better result if we could make a survey from experts. Thanks for your rating and comment.